Lil IROCC Williams is a Christian rapper from Atlanta, Georgia. His moniker stands for "I Rely on Christ Completely". He released his first album in 2003 at the age of 13, which charted on three Billboard charts. It featured guest appearances from TobyMac, GRITS, Todd Collins, and Canton Jones. 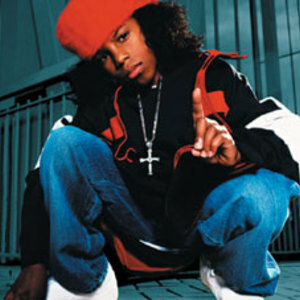 His album was compared to secular releases by young rappers such as Lil Bow Wow, Lil Romeo, and Lil Wayne. A song of his appeared on the WOW Hits 2004 compilation. He was nominated for a Dove Award for Best Rap/Hip Hop Album in 2004 and won the 2004 Stellar Award for Children's Album of the Year. Williams followed with his second album, The Sequel, in 2004, on Whitaker House subsidiary Authority Music. Lil iROCC Williams was Gospel's Choice Best Hip Hop Artist of the year for 2006.